There was a lot of wind and movement in the day, spring in the air. I found a view of the barns, the sun glinting off of their roofs. Wet earth and slow shadows sat in the yard. 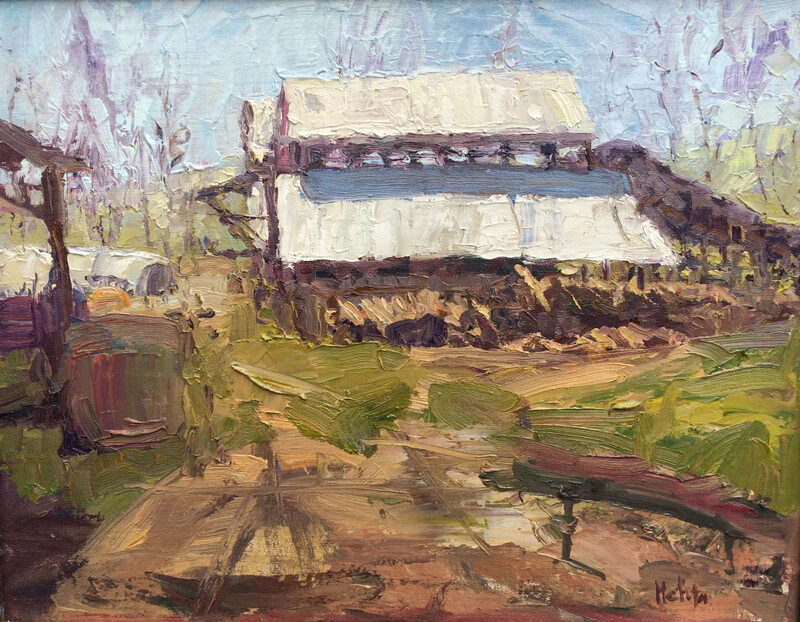 “Barns”, oil on linen, 14″ x 18″, Best of Show, BSSS Queen City Plein Air 2016.